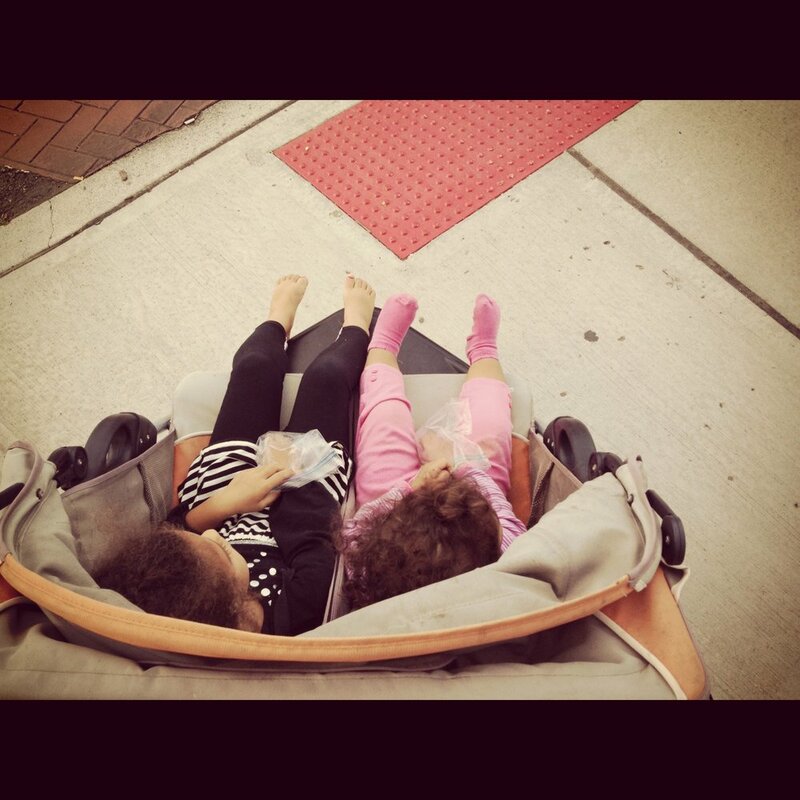 So here is the aerial view of my 2 precious girls as we cruise home from the park in the double stroller. My wife was down and out with the flu, so it was just me and the little ladies. What a great time we had! Sure there was some refereeing, reprimanding and snacks to pack, but we enjoyed our time together. Combining a light run with play time in the park with my girls was priceless. Runner dads - I highly recommend a weekly run with your little ones if you don't already do so!